The Gateway Hotel Dallas offers upscale hotel accommodations with rewarding luxury. Experience world class hospitality and lodging when you stay with the Gateway Hotel Dallas where our motto is to Exceed Every Hotel Guests Expectations. Hotel has 4 floors and 195 rooms. Free Wi-Fi in rooms and common areas. Business center in lobby. Onsite restaurant and Bar–Rio Bravo serves an array of decadent Mexican and American dishes. Well-appointed contemporary accommodations with modern home comforts. Various room types available. ADA, King bed, two Queen Bed rooms Some guestrooms provide jetted tubs, a kitchenette, and a separate living space 3 well-equipped meeting rooms. Banquet Hall and Wedding Receptions is 2500 sq,ft. Complimentary chairs and tables bordered around the outdoor pool. Setup and catering along with all Audio Visual Equipment. Smaller venues are also available for intimate gatherings and private meetings for our business traveler. Free use of fitness facilities onsite and free parking. Safe-deposit box at front desk. From your first night as our guest at our 3 star hotel until you check out, our guest hotel representatives are available to assist you in every possible way. We look forward to amazing you at the Gateway Hotel in Dallas Texas. Check out Cinco De Mayo Celebration at Pike Park in Dallas Ft. Worth on May 04, 2019 and get detailed info for the event - tickets, photos, video and reviews. Book a Dallas taco-sampling adventure with us! You'll love the diversity of our stops, as we enjoy street tacos, gourmet tacos and eclectic tacos. The margaritas we've selected will also be awesome! Drinks beyond two margaritas are on your own. The price includes air conditioned motorcoach transportation, food and drinks at selected venues, and beverages on the motorcoach you may also BYOB. Must be 21 and above. From Eventbrite.com: Dallas Margarita Festival Presented by Texas Festivals Saturday May 4, 2018 Join 2500 other Margarita lovers and vote for THE BEST MARGARITA in Dallas! Activities : It's not all concrete and high-rises here. After all, this is Texas. For a refreshing adventure outdoors and breathtaking views, explore White Rock Lake , Klyde Warren Park , Katy Tail , Dallas Arboretum and more. Airport : Dallas Fort Worth Airport and Dallas Love Field Airport The City of Dallas owns and operates Dallas Love Field, one of the finest general-purpose airports in the world. The airfield is located seven miles northwest of the downtown central business district and is managed by the City's Department of Aviation. Attractions : Dallas Zoo 650 South R. L. Thornton Freeway Dallas, TX 75203 (469) 554-7500 The world-class Dallas Zoo covers 106 acres and features many rare and endangered species. Don't miss the award-winning Giants of the Savanna. Business : Dallas Convention Center Website The Kay Bailey Hutchison Convention Center Dallas, like everything else in the city, is BIG– and Big Things Happen Here. Dining : Dallas restaurants are more than the Texan favorites of steak houses , barbecue and Tex Mex . Food is our passion and we'll surprise you with fresh seafood , eclectic bistros and fantastic worldly cuisines ranging from Brazilian to Indian to European. Events : Official website Lights, camera, action, art! Go on a cinematic journey through our collection as we explore the connection between art and film. Golf : Dallas is the perfect location for those looking to brush up on their golf swing or improve their handicap. With more than 200 courses of varied levels of play, the area has plenty to offer the golf enthusiast. Ample sunshine, gorgeous fairways and low green fees are just a few of the many reasons why Golf Digest ranked Dallas as the best golf city. Government : Dallas City Hall 1500 Marilla Street Dallas, TX 75201 Directions to City Hall A citizen may choose to contact the City to request NON-emergency City services by clicking on " 311 & Services " above. For services not available on the Internet please contact a 3-1-1 Customer Service Agent to assist you. If you are outside City limits the phone number is (214)-670-5111. 3-1-1 is your call to City Hall. 3-1-1 provides access to City Services 7 days a week from 6AM – 8PM for routine calls and 24 hours a day, 7 days a week for urgent requests such as street leaks, burst pipes, sewer issues, sick, confined or injured animals, animal bites, traffic signal outages, downed signal light poles, street spillages and downed trees. Shopping : Welcome to Spotlight on Shopping featuring many trendy, historical and eclectic Dallas shopping destinations. With moderate weather throughout the year, few other regions can feasibly offer shopping indoors and out as a fun activity to be enjoyed year-round. Use our official listings to find Dallas malls, boutiques, antique stores, and much more. University : The University of Dallas Texas Your application is important to us so please read the following instructions before you submit your information to UT Dallas. It is our policy to use only the online ApplyTexas application in our undergraduate admissions process. Graduate students should only use the UT Dallas Graduate Application for Admission . 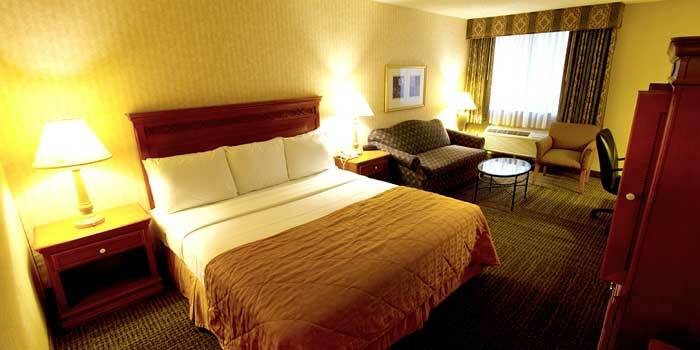 Welcome to our great hotel in Dallas Texas with affordable rates and cheap budget discount lodging. Gateway Hotel welcomes you to our budget hotel in Dallas Texas. Gateway Hotel will provide you excellent customer service with great amenities in comparison to all Hotels and Motels in Dallas Texas. Please visit us on your next stay in Dallas Texas and let us provide you with 4 star hispoitality for 2 to 3 star budget rates. Gateway Hotel has been providing lodging and accommodations in Dallas Texas for sevral years and looks forward to providing our valued customer and business traveler with the best service in Dallas Texas for Hotelsand Motels in our local area.